The Pro Ears Stalker GOLD is electronic hearing protection that has a NRR of 25 and comes with the internal gain setting to assist in hearing low or distant sounds such as game movement by amplifying low level sounds up to 8 times normal hearing. 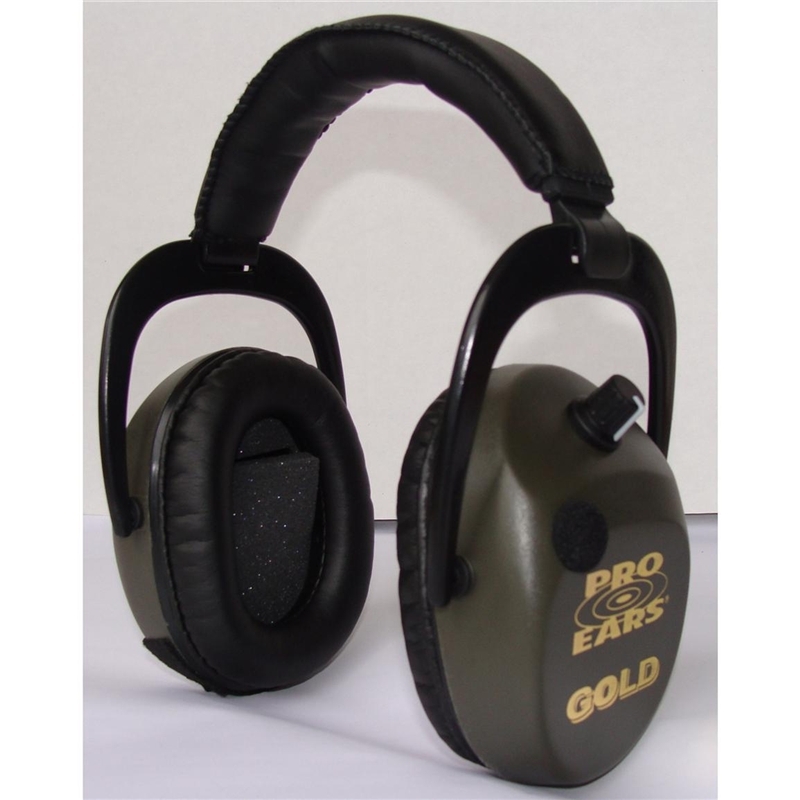 The new GOLD series has been upgraded with new ear cushions and a new ProTen headband to ensure the possible fit. Pro Ears has created the smallest and lightest electronic earmuff on the market today. It was designed with the help of many firearm experts who wanted a unit with a cup design that would allow easy, non-interfering shouldering of rifles and shotguns. The Stalker GOLD is designed with audio receiver/input capabilities for: AM/FM Radio, Cassette Tape, Stereo, CD and other electronic communication / entertainment devices. Please Note: Camo pattern: Realtree APG Camo. Available in: APG Camo and Green.